High-quality digital media from PBS and its affiliates. Technology and engaging media are key, providing parents with the resources to engage with their child around learning how to read. "...we need to do something in the homes beyond what we’ve done in the past." In 2014-15 each school district researched 1:1 learning programs and tested devices. Piqua City Schools ordered Chromebooks; Milton-Union and Franklin Monroe ordered Windows-based PC’s. Policies were developed concerning device care and digital citizenship. 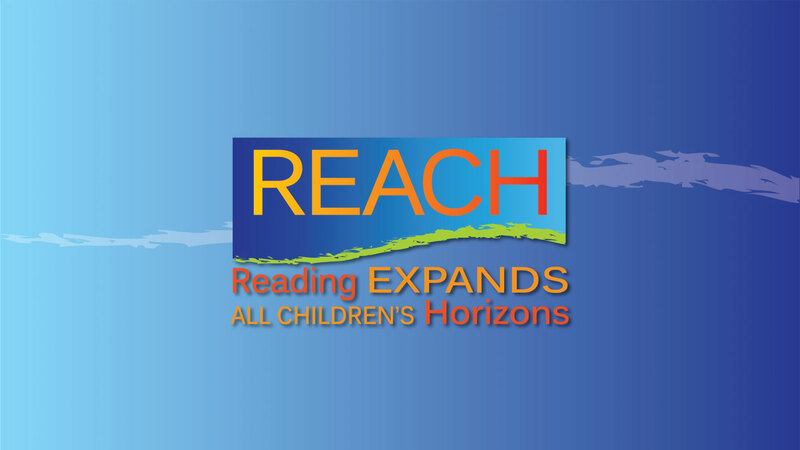 ThinkTV worked with reading specialists and curriculum designers do develop the REACH collection of 32 interactive, self-paced lessons. A group of teachers and parents piloted both the devices and the digital curriculum in the spring of 2015. All K-1 teachers were trained on both the devices and the REACH modules prior to the beginning of the 2015-2016 school year. In the fall of 2015 and each subsequent school year, all K-1 parents in participating school districts receive training on the use of the laptops and the REACH interactive lessons. Upon completion, parents sign an agreement with their school district, allowing their child to receive a laptop and transport it between school and home. Throughout the school year teachers assign REACH lessons for students and their parents to work on at home; each lesson, with extension activities and additional reading, is designed to last approximately two weeks. The final lesson of the year is designed to promote continued reading and learning throughout the summer.